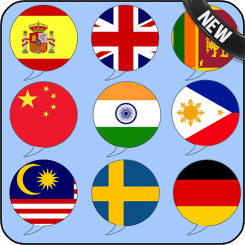 All Language Translator Free download application to translate All Language. Download the largest All Language Translator dictionary with over lack's of All Language words. Meaning of words are provided with definition. - User Friendly Material design used for easily used for all the user. - Possibility to copy the translated text by using one button. Urdu Language , Vietnamese Language , Welsh Language , Yiddish Language Translator.